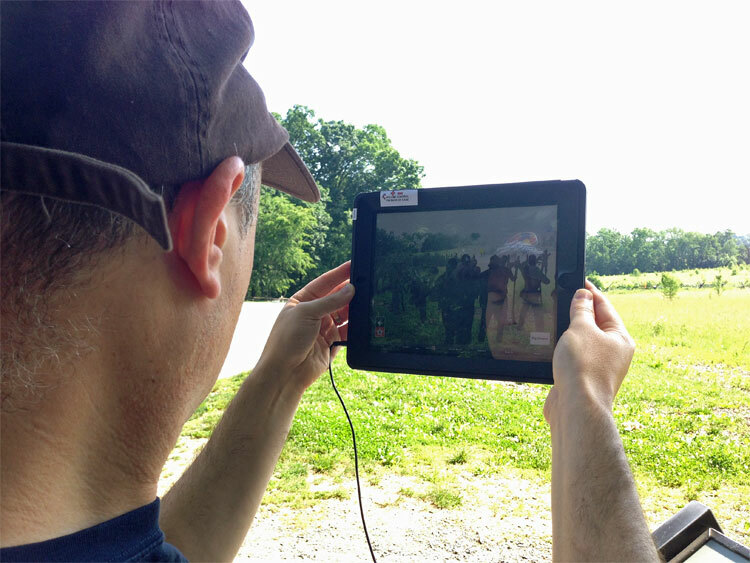 “Hey, is that augmented reality?” a passerby asked us as we stood facing the battlefield, holding up an iPad. My family was engrossed in watching the blue and the gray battle before our eyes, and we welcomed the stranger to join us. “Amazing, isn’t it?” I said. Our tour started that morning at the Heritage Center in Gettysburg, Penn., when we picked up the iPad and speaker provided by InSite Gettysburg. The instructions were simple: tap the InSite icon on the iPad and let our virtual guide, Amanda, tell us where to go. I was instantly hooked on the technology. Part GPS, part tour guide, and part history teacher, the software on the iPad routed us to the first stop on the auto tour while playing Civil War-era music. When we parked at our first stop, it played an overview of the area on the iPad. At the next stop, we had the option of staying in the car for a virtual tour, getting out for a walking tour, or continuing to drive to the next stop. 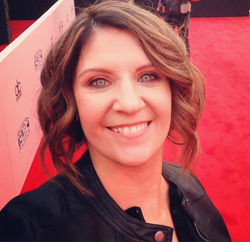 We could set our own pace and choose when we wanted to dig deeper and learn more. But it was the virtual tour segments that were the most amazing. InSite’s virtual tour displayed the landscape around us on the iPad screen without leaving our car. Sliding my finger across the screen allowed us to pan in different directions, and tapping buttons gave us deeper insight into any feature of interest. When choosing the walking tour, we got out of the car and walked to a designated viewing spot, then held up the iPad and tapped to begin the augmented reality scene. Augmented reality offers a view of a real-world environment that has been supplemented by computer-generated data or graphics. In the case of the InSite Gettysburg tour, we were able to watch Civil War soldiers in battle on the field almost as if they were fighting right in front of us. Think of it as playing a movie of what happened on the exact spot of the battlefield where it actually happened. How amazing is this for families? There aren’t a lot of kids who love touring historical areas, reading every historical marker, and InSite Gettysburg makes it engaging and exciting. One of the most striking examples during our tour was the Gettysburg Address. Sure, we could stand on the hill overlooking the cemetery and imagine Lincoln giving his famous speech. Or we could actually see and hear Lincoln give the Address in augmented reality. It was so amazing, I had tears in my eyes. 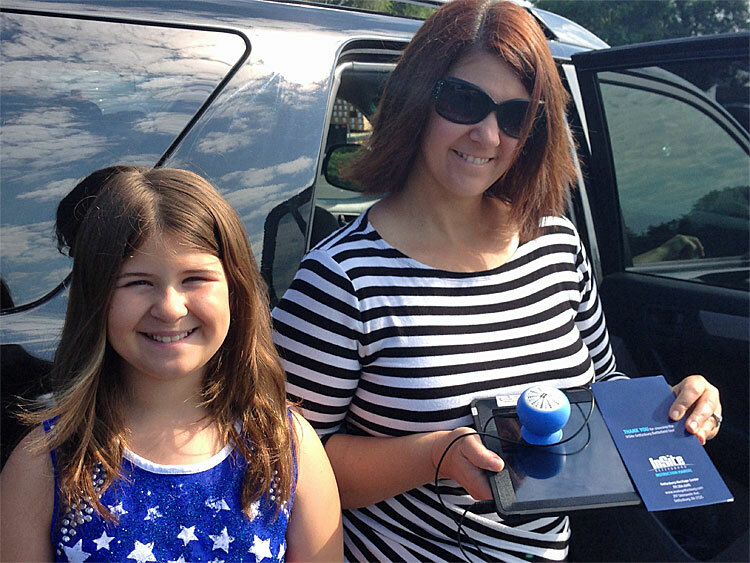 As we drove through Gettysburg National Military Park, the iPad offered games, virtual scavenger hunts, and in-depth historical information to keep the passengers in the car engaged. I can tell you with confidence that my kids enjoyed this tour more – and learned more – than any self-guided tour we might have done. And they could keep cool in the car a lot of the time, which was also a plus. 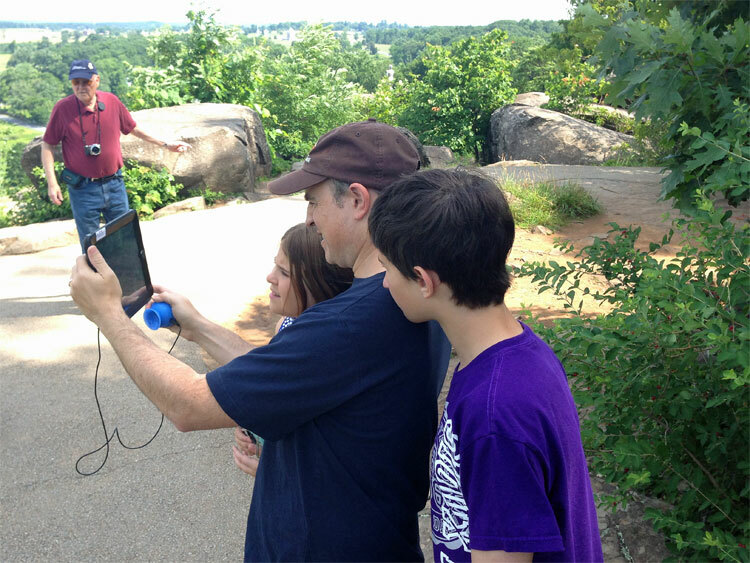 Through the magic of augmented reality, my family was able to experience the Battle of Gettysburg in a way never before possible. Not only did my kids learn a ton about the battle and the Civil War, they had fun doing it. For homeschoolers, and anyone who loves educational travel, Gettysburg is a perfect place to be inspired by America’s history. 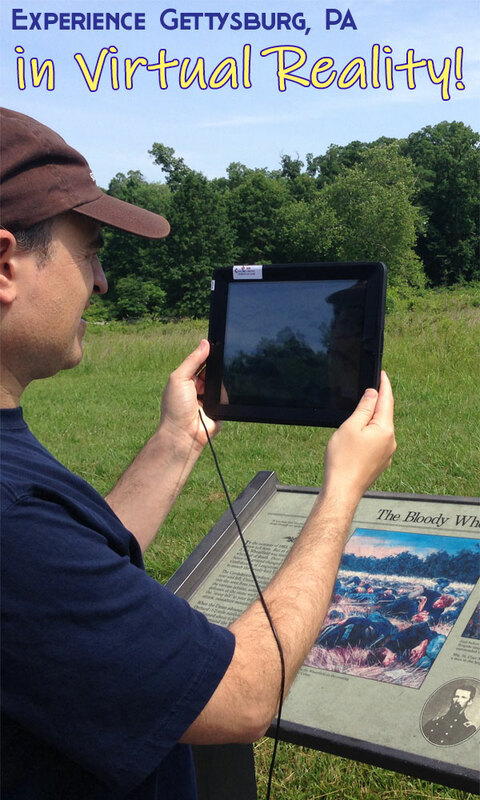 And all you need is the iPad provided by InSite Gettysburg. 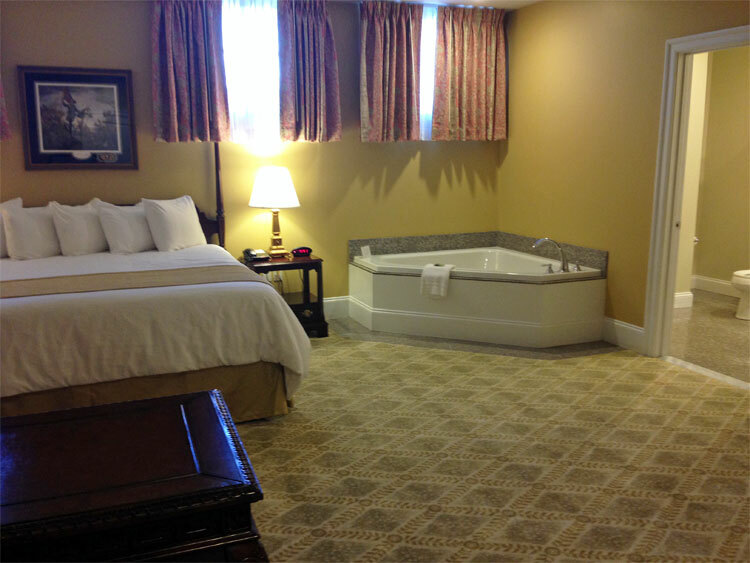 My family loved our stay at Federal Pointe Inn. 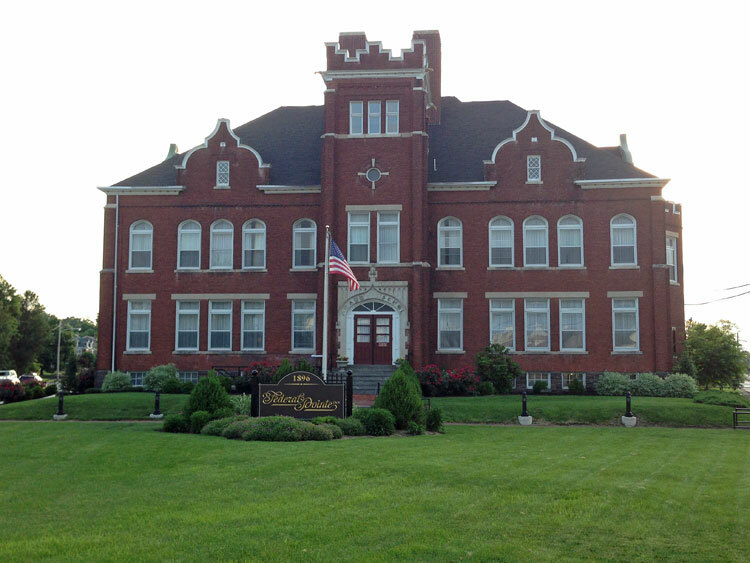 This historic Gettysburg landmark was built in 1896 and served as the Meade School – Gettysburg’s first high school. 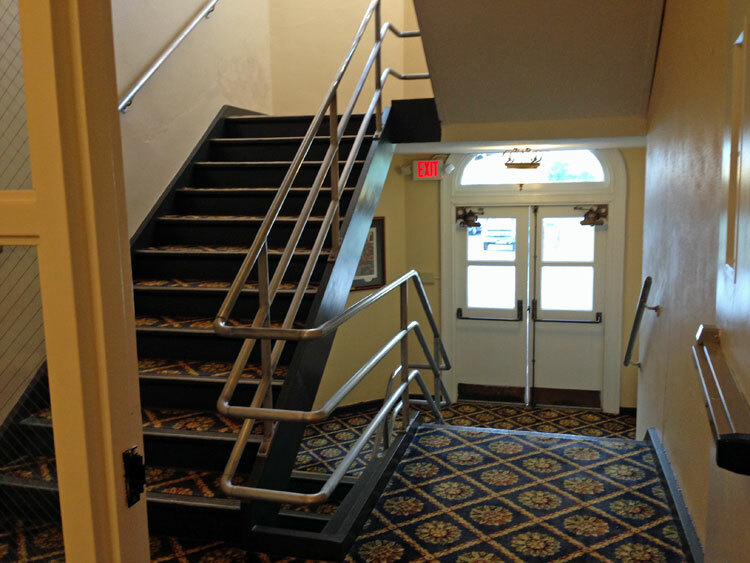 In fact, the building reminded me so much of the middle school I attended in upstate New York – especially the stair wells! But you won’t feel like you’re in class once you’re settled into your room. We had a large room with a Jacuzzi tub, queen bed, and pull-out couch. The majestic building, located in the historic downtown district, is a blend of federal and gothic architectural features. Dobbin House Tavern is Gettysburg’s oldest, most historic home, listed on the National Register of Historic Places. Today it’s a cozy, candlelit, colonial restaurant where you can enjoy your favorite spirits, generous dinner platters, fresh deli sandwiches and salads, homemade soups and tasty desserts. It’s family-friendly, but also romantic! And I always check out a local coffee shop when I can find one! The Ragged Edge Coffehouse is a quaint little spot with a nice outdoor seating area. They offer specialty coffees, breakfast and lunch items, smoothies, and fresh-baked pastries. Thank you to Destination Gettysburg for facilitating my visit to Gettysburg. All opinions are my own.